High-rise living and sky-high home prices aren't just for downtowners any more. 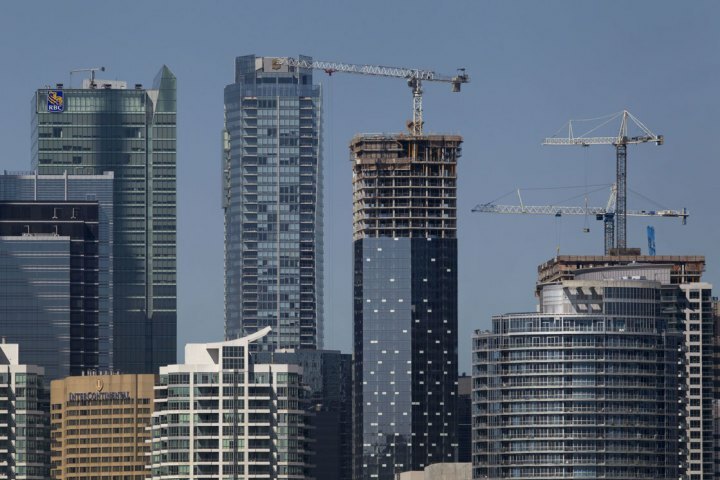 Toronto is still the hotbed of condo activity, with more than half of sales occurring in the city. Apartments are a hot commodity all over, with sales across the region rising 52% in July compared to the same month last year. Low-rise home sales declined 32% last month, part of a 7% drop this year to date. High rises have risen 25% year over year in 2016. The average price of a new low-rise Toronto-area home — including detached houses, semis and townhomes — continued edging closer to the $1 million mark last month, hitting $906,508 — up 12% over July 2015. At the same time, the supply of ground-level new homes has plummeted, according to an Altus Group report for the Building Industry and Land Development Association (BILD) released Monday. While supply is an issue in the climbing condo sales, other factors also make them an attractive alternative. Condos in the Toronto area averaged $475,764, about half the price of other housing types. There is a stronger demand for larger units. I suspect that is young people again choosing to raise their family in condominiums or possibly empty nesters who are moving into the condominium market and selling their low-rise homes. Units averaged 801 sq. ft. in July, suggesting a departure from smaller, less expensive apartments that builders have been using to entice first-time buyers. Townhome prices average $758,434 in July, only slightly less than the average cost of a semi at $771,530. The affordability and short supply of semi-detached homes has helped increase the average price by $200,000 in a single year. The 17,213 new homes available in the region at the end of July, was a 41% decrease from 10 years ago. Of those, only 1,568 were low-rise homes. That's less than a month's supply based on a 10-year sales trend average. Of the 2,226 homes sold last month, only 905 were low-rise units.